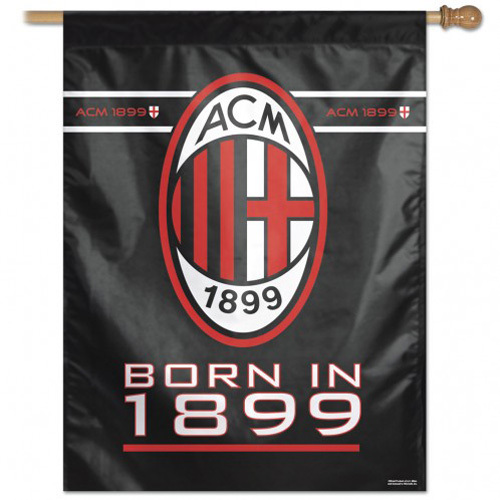 Officially licensed AC Milan banner. Designed to hang vertically from an outdoor pole or inside as wall decor. Durable medium-knit polyester flag measures 28" x 40" with a 2.5" pole sleeve. Machine washable. Poles and hardware available separately. Made in USA.